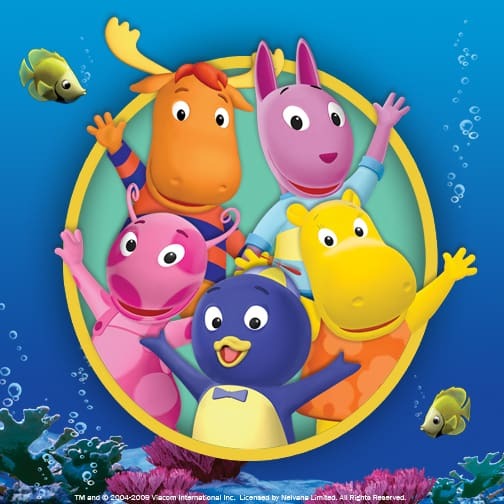 I have lost track of how many times that MomMomOnTheGo and crew have seen The Backyardigans live and we would keep on going time and again. I have a special love for The Backyardigans and it is because the concept of the show reminds me of my childhood. All we needed as kids was the backyard, some friends and our imaginations and we were off on an adventure. The entire theory behind The Backyardigans is based on imaginative play and that is something that I love to see my Little One engaged in. I absolutely loved the venue for the show this time around; The Orpheum in Vancouver, BC. It is like a castle inside and fitting for The Backyardigans in my books. The seats are comfortable and there is not a bad seat in The Orpheum. I did hear some of the parents with younger kids mention that there were no change tables in the venue. Unfortunately, The Orpheum was not built taking into account a children’s show and the associated crowd for it. I would suggest to The Orpheum that they invest in change tables of some type whether permanent or temporary for when there is a children’s show at the venue. There were some interesting items for sale at the memorabilia and souvenir table. I really liked the water bottle, but it came with a sippy cup top only. I would have loved it with a normal lid for my Little One. Of course the t shirts were nice as always. I did not see DVD’s for sale this time around, but honestly it was so crowded and we were running behind a bit so we did not get a lot of time to browse the souvenirs. I always love The Backyardigans shows. I love that they incorporate so many of their songs into the show. The sets are great and the story line is entertaining. I love how they bring so many of the different story lines seen in different episodes in to make the new live performance. We had two 6 year old girls with us in our group. My Little One who is very familiar with The Backyardigans and one who is not as familiar with them. Both of them enjoyed the show a lot. Now I feel such a need to speak about something and it has nothing to do with the quality of the show. What I want to speak about is show etiquette. First of all, please don’t sit there speaking to your kids at full volume for the entire show. It is very irritating and makes it very hard to hear the show. We had a family like this around us and their 3 kids and mom just would not be quiet. They were not even attempting to speak softly, it was full volume as if the show was there just for their pleasure. Secondly, please do not let your children run up and down the aisle and to the front of the stage. You will be asked to move them from the front of the stage and to keep them in their seats. The people who paid the higher prices in the front rows also do not want your children blocking their views. Unfortunately this was happening quite a bit which was keeping the ushers busy. The show was a great length and the audience was visibly enjoying it. You could see some kids dancing, singing and of course a lot of clapping for their favorite backyard friends. There were a lot of cheers for each of the characters. The Backyardigans is always a live show that is a must see. Check out the Tour Schedule to see when they are at a City near you. 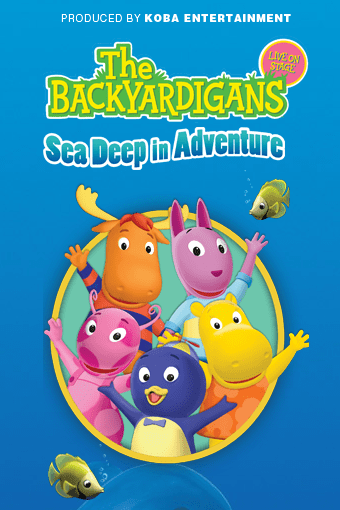 You can stay connected with The Backyardigans news by liking Koba Entertainment on Facebook and Twitter. Disclosure: MomMomOnTheGo was provided tickets for the purpose of conducting this review. As always, MomMomOnTheGo only supports companies and products that she loves.